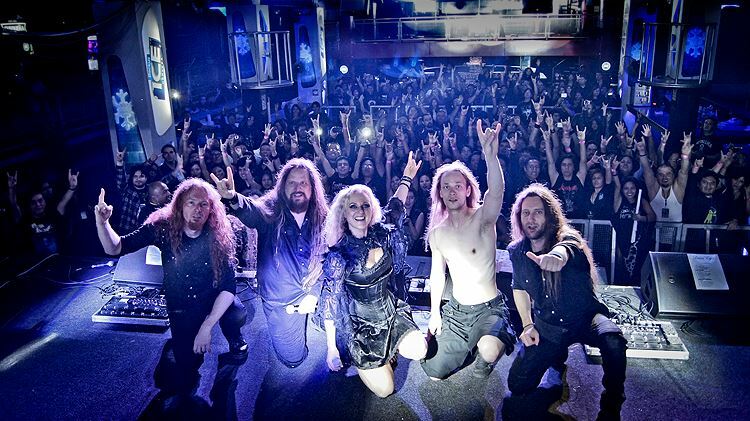 We played at the Lima Gotica Fest in front of a very excited audience! Diego and his crew did an awesome job to make us feel comfortable. Lovely, beautiful Maribé (of the band Crownless), who was my special guest on stage during “Symphony of the Night” (Spanish version) that night, took us to one of the stunning Inka markets downtown and showed us around Lima. Next time we really hope to play a few gigs more for our Peruvian audience, moreover, to visit ancient ancient places. Maribé took us to a sea-side restaurant for a great meal and a breathtaking view.